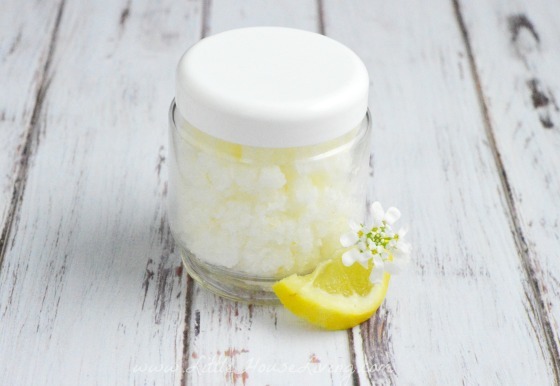 Lemon Body Scrub DIY Recipe - Only 3 Ingredients! Summer always makes me think of all things bright and cheery! Summer also makes me think of the damage my skin will take over the next few months! I try to be proactive in taking care of my skin, and keeping it soft and silky – and that’s why I made this lovely Lemon Body Scrub. This DIY project is so simple, and will take you just a few minutes to make, from start to finish. You most likely have these ingredients in your house right now! So, let’s get started! 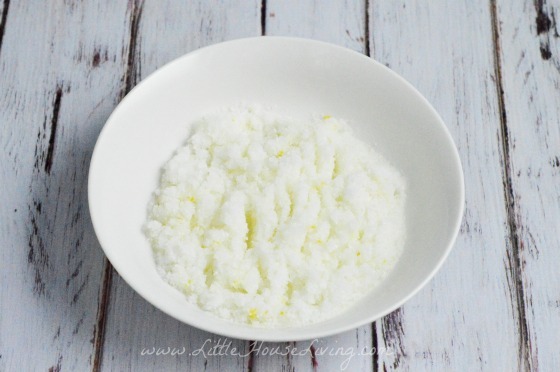 In a medium sized bowl, you will need to combine your Epsom salt and your coconut oil. Use a fork and gently combine them, until they are thoroughly mixed together. Your mixture should look like this when you’re done. Next, you will add the zest of your lemon to the mixture. After you have added all the zest, you will need to cut your lemon in half, and squeeze in all that lovely juice from the whole lemon. Be careful not to get seeds into your lemon body scrub. If one or two seeds fall in, just pluck them out to keep your mixture seed-free! 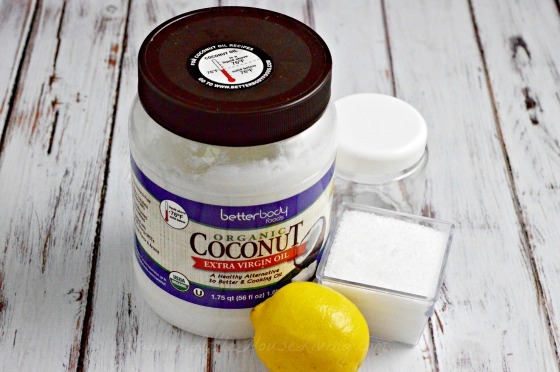 Mix all of these ingredients together with your fork, until they form a light and fluffy lemon body scrub! Now that your whole house is smelling wonderfully like lemon, it’s time to store that mixture to use in the days to come! 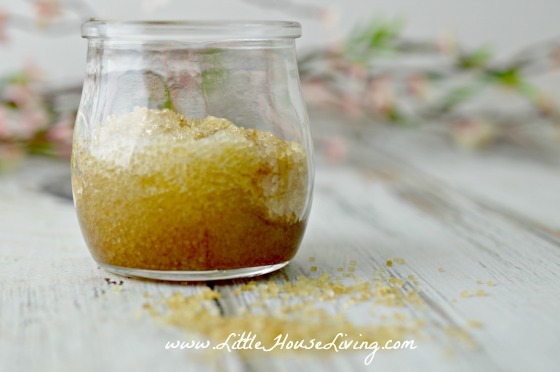 Use a large spoon, and put all the body scrub into a container that you can seal shut. I used an 8 oz glass jar with a twist-on plastic lid. It was a perfect size, and looks super cute sitting on my bathroom counter! 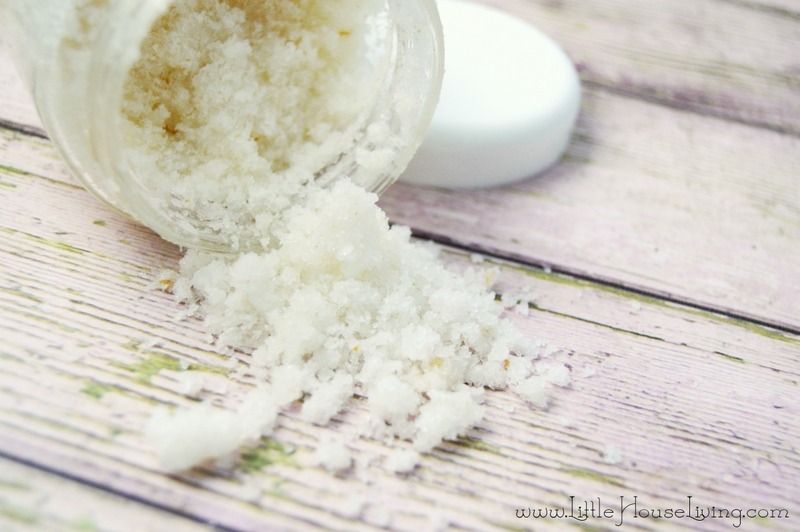 To use your body scrub, place a small amount in the palm of your hand, and apply to clean skin (I use mine in the shower), being careful to avoid sensitive areas. Gently scrub the mixture onto your skin, to allow it to remove any dead skin, and rinse off to leave your skin silky smooth! 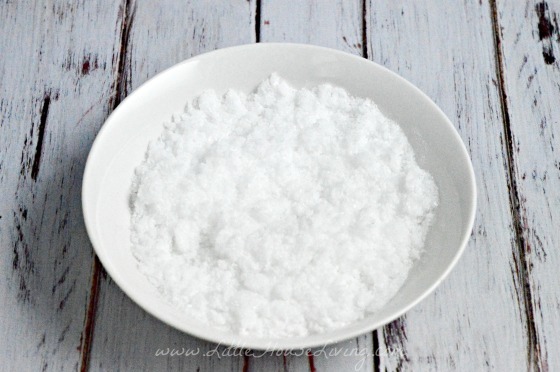 The epsom salts in the mixture will make your skin so soft and perfect for sunny weather! I love the energizing citrus smell of the lemon to get my day started. Here’s to summer, and sun, and all things bright and cheery! 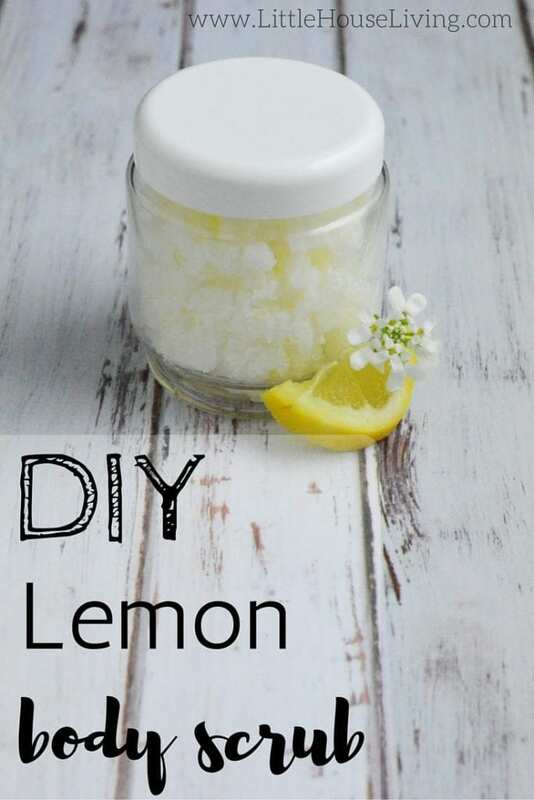 Will you give this Lemon Body Scrub DIY a try? This would make a great gift for my girlfriends. 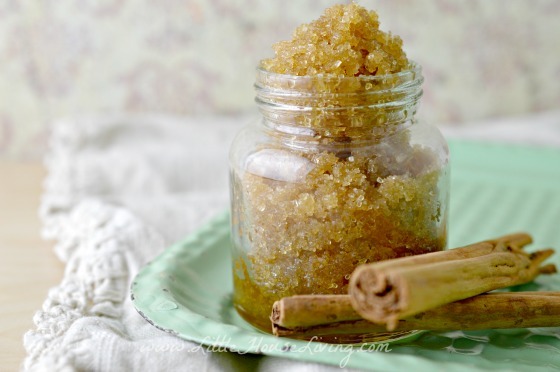 I have been looking for a simple, diy body scrub and this looks perfect. I bet it smells so good too. Thank you for sharing. Does this need to be refrigerated? So simple to make! Thanks so much for sharing. I LOVE the smell of lemon! Do you think this would work with sugar instead of salt? Salt is typically too harsh on my skin. I would love for you to share this with my AMAZING Facebook Group with over 300 Members to share easy craft projects and recipes. I love lemon everything! Thanks for sharing with us at Totally Terrific Tuesday, pinning! Please come and link up with us again tomorrow! 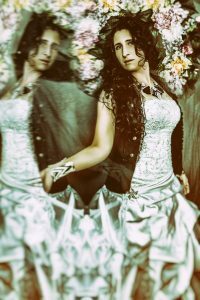 I just wanted to tell you how much I enjoy your photographs. They are always appealing, beautiful and simple. You have a gift for this. I enjoy your posts, and this scrub sounds really good. Thanks for all you share with us. I made this yesterday, but when I went to use it this morning I noticed that it all separated and is very runny. Thank you very, very much for this. I just wanted to ask how long can you keep this for? If you are using fresh lemon I would try not to store for longer than a few days to a week. Using a bottled lemon juice and storing in the fridge may help it last longer. Thank you very much and for replying so quickly!